It is said that Jew’s mallow was introduced in Japan in 1980s. But like other vegetables with sticky textures, it goes very well with miso. 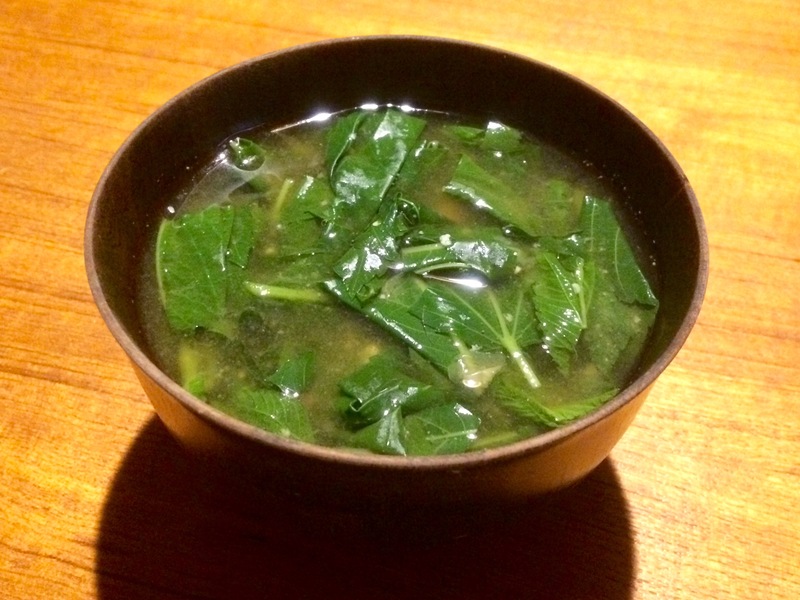 Simply cut and boil the leaves in broth and add miso paste.